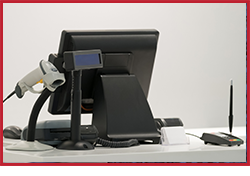 Quality Retail Systems, Inc., or QRS, was established in 1989 with a strong commitment to delivering the highest quality hospitality POS systems and solutions, along with service and repair to all of our customers. This commitment has fueled the growth of our company since its inception and allowed us to establish ourselves as the largest independent sales and repair organization for hospitality equipment in all of New England. Based in Schaghticoke, NY, we partner with restaurants to help them grow their business by providing an exceptional guest experience. Today, our staff of more than 40 employees has more than 350 combined years of experience focusing on providing the finest hospitality POS solutions. 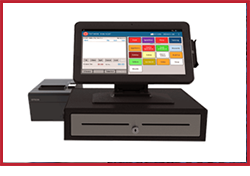 Keep your POS systems in working order, starting with a free consultation at (800) 753-7702. QRS provides a wide range of solutions for the hospitality industry, wholesaling a wide selection of the finest hospitality equipment available. 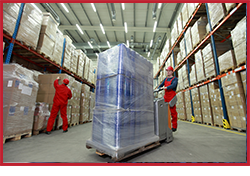 Additionally, we offer a full inventory of parts, along with service and repair solutions to keep your business running. Since 1989, we've provided a respected repair center, quality products, and more. You'll find Oracle, Epson, and Micros products, among others at our two locations. 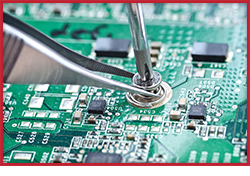 The POS Repair Center specializes in the repair of circuit boards, printers, monitors, keyboards, scanners, drawers, touch screens, and more, for our customers around the world. We're an authorized provider and customer care center for Toast, Micros/Oracle, Epson, PSC, and DataLogic products.